All SASP applicants must complete the University of St Andrews application process. Your application must be accompanied by two academic references, a transcript of your academic record, and the required application form. Entry requirements: A good 2.1 undergraduate Honours degree (or equivalent) in any subject. Applicants who have not met the required 2.1 standard may still apply but will be required to submit a writing sample in support of their application. Applicants for the MLitt must include a sample of written work of no more than 2500 words as evidence of the capacity for independent philosophical thought. This typically takes the form of critically engaging with and evaluating a philosophical text, thesis, argument, or problem. A mere survey or summary of positions held by others is unsuitable. Applicants must include a written piece of work of no more than 4000 words, a research proposal (max 1000 words) outlining the proposed research questions and context. Where possible at the application stage, applicants are requested to indicate their preferred first and second supervisor. 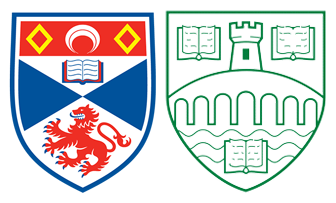 See the details of academic staff at the University of St Andrews and the University of Stirling here. For further information regarding the application process, please contact the Postgraduate Secretary. For details about application deadlines for scholarships and other funding opportunities please refer to the sections on SASP funding and Postgraduate scholarships.